Birthplace : Santa Cruz, California, U.S.
Bassnectar is the stage name of Lorin Ashton, best known for his live performances, light shows, and community engagement. Bassnectar is one of the longest standing and most respected artists in American electronic dance music, commonly referred to simply as the EDM scene. He is the original long hair behind the tables, having been in the game well before most of his contemporaries and amassing an epic fan base having sold over 250k tickets to his solo shows alone in 2011. His art brazenly oversteps the bounds of contemporary EDM, pulling from a dynamic array of source material and attracting lovers of all genres, from dubstep to metal, punk rock,hip hop, and all forms of EDM (drum & bass, trip hop, etc) and beyond. His art is more than just an auditory experience; it serves to evoke all human senses with live shows that feature unparalleled light shows and awe-inspiring visual queues. Bassnectar intends to not only foster its own community of loyal Bass Heads, but also contribute to the global community at large through charity and social change. In 2011 one dollar from every ticket sold was given to a non-profit. This ended with a check for over $200,000 being written to Air Traffic Control (ATC), which exists to assist artists in making positive social change. 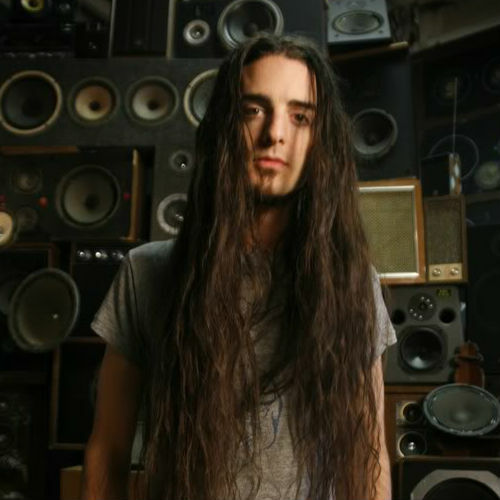 Bassnectar is the brainchild of Lorin Ashton, a San Francisco-based DJ, producer and artist. 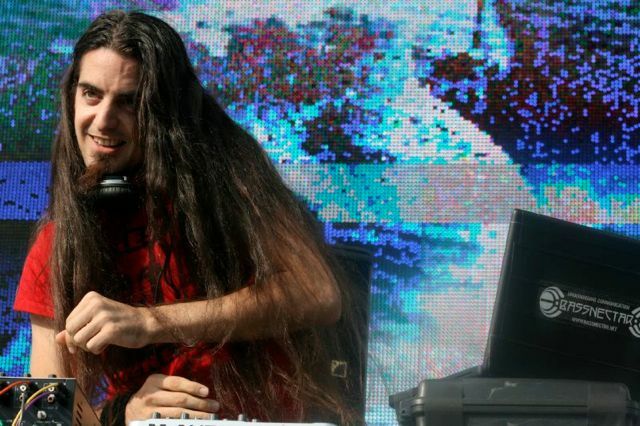 Lorin, who released his first album in 2001, began the project as an open-sourced musical experiment exploring the interplay between music and community. His music covers any genre imaginable and fuses everything into an electro-synthesis of intense basslines and hypnotic soundscapes. His music covers every genre imaginable and fuses everything into an electro-synthesis of intense basslines and hypnotic soundscapes. Coming from a background in death metal, Ashton was not intent on approaching EDM from a traditional standpoint and it was a very natural and unique progression. It is this openness to exploring new ways of creating dance music that has attracted droves of loyal fans to Bassnectar’s recordings and live performances. Being purposely limitless, Bassnectar is as diverse as it is heavy, as raw as it is meticulous, and as fierce as it is imaginary. This explorative take on music led to a deep involvement in the death metal scene of the nineties. He started a band called Pale Existence and began playing and promoting underground shows as well as organizing a local battle of the bands that inspired insane amounts of fun energy and crazy moshpits. In this pre-internet age, Ashton had gone from a commune to high school (where he earned straight A’s) to his first musical community. In 1995 Ashton went to his first rave and was instantaneously switched on to electronic music and its culture. In the following years, he became exceedingly more involved in the scene, promoting shows, distributing food and assistance to concertgoers, buying records and eventually learning to DJ after studying electronic music production. 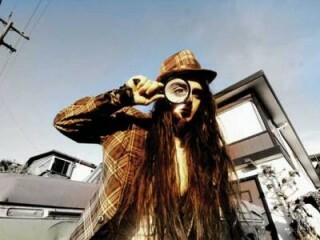 Lorin equated the turntables to drumming and could match beats immediately in an almost savant-like way. He started to throw parties in venues ranging from dorm buildings and warehouses to beaches and artichoke fields, where he spun psychedelic trance (which was most similar to his familiar death metal in his opinion). As he entered college, Ashton began to refine his skills as a producer, combining guitar and his voice, splicing up a wide array of music and experimenting with old school synthesizers. Taking cues from his metal background, Ashton decidedly kept all of his musical workings strictly underground, a sentiment that he has continued to foster throughout his career. 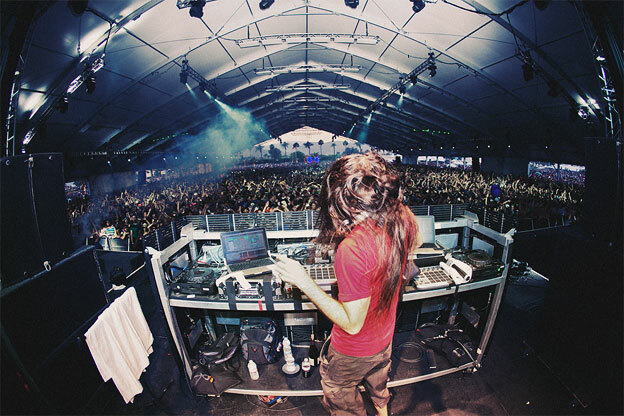 As time progressed Lorin garnered more and more notoriety and started to play larger parties, first in the Bay Area and then eventually nationally and internationally. All this hype led to appearances at large scale festivals in the early 2000s, including Burning Man and Shambala. Always a very hands-on artist, Ashton climbed the rungs of the EDM ladder on his own, starting proudly from his own unique standpoint. Bassnectar is particularly infamous for incomparably raucous live shows that feature state of the art lightshows and enough bass to work crowds into palpable frenzies. His performances are so successful and sought out that in 2011 he made the top 3 hard ticket sales along with fellow EDM artists Deadmau5 and Tiesto. The Bassnectar tour, which travels with its own custom sound rig, has headlined stops at some of the most noted venues and festivals in the country and always attracts massive sold-out crowds, some numbering over 10,000 for non-festival solo show dates. In addition to celebrated sets at Coachella, Lollapalooza, ACL, Bonnaroo, and Ultra Music Festival, Ashton has inaugurated his own daylong extravaganza for EDM lovers of all ages. Dubbed the Bass Center, this sonic celebration has completely sold out in its first two years, 2010 and 2011, and has featured the likes of Brother Ali, Glitch Mob, Wolfgang Gartner, That 1 Guy and Dan Deacon and will feature electro house superstar A-Trak in 2012.